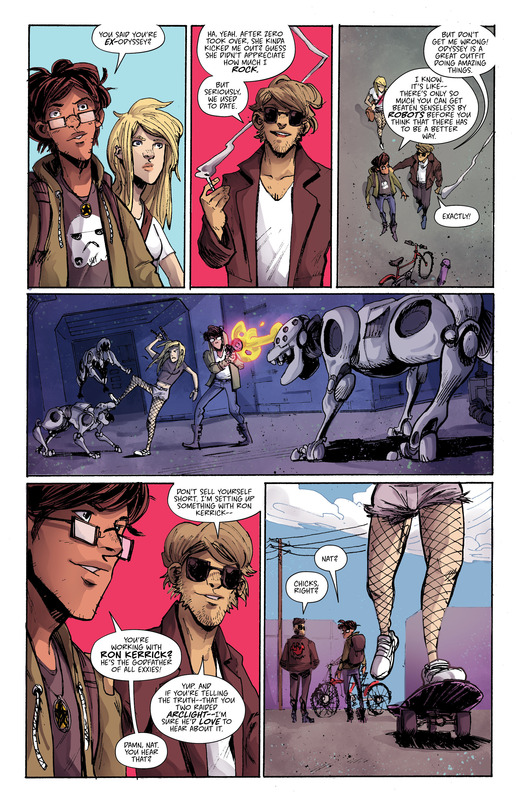 scans_daily | Quantum Teens Are Go #1 came out this week. 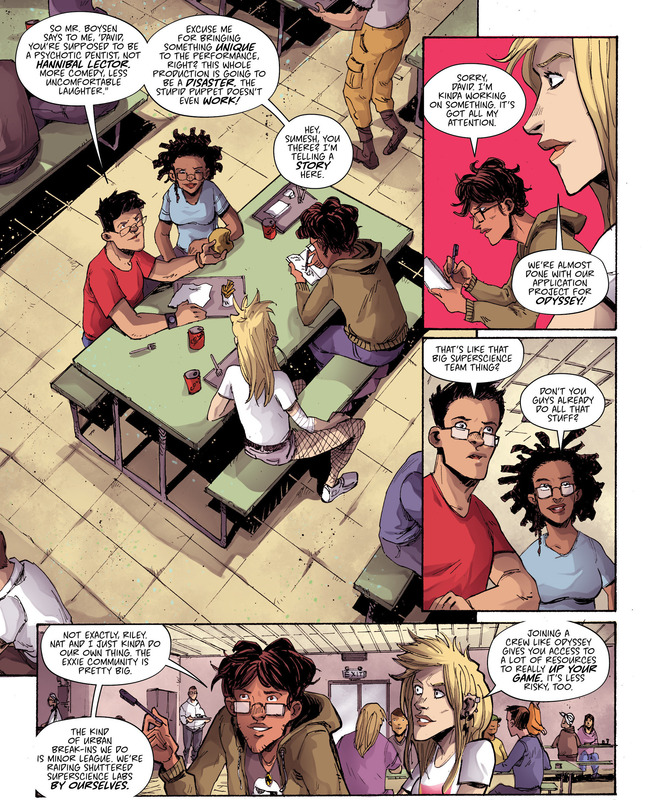 Quantum Teens Are Go #1 came out this week. It's the first of a four-issue miniseries. It's matter-of-fact from the first page- the dialogue's expository and organic at the same time. The pacing has the same matter-of-fact understanding of the story, progressing over things as they happen. After introducing the protagonists Nat and Sumesh in a late-night raid on a shut-down super-science lab- which included having to deal with its not-deactivated security system- it established them in the morning after. It went in order, first with her..
.. and then with him. It concluded with them setting up the machine and turning it on- and something happening. 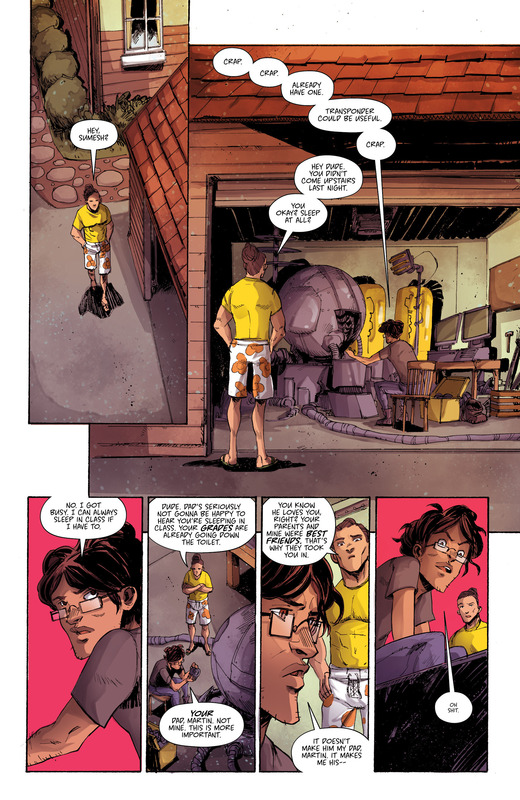 (Writing's Magdalene Visaggio, whom you might've seen before on Kim & Kim or/and the Element Girl backup in Shade the Changing Girl #4. Pencils and inks're Eryk Donovan, colors're Claudia Aguirre, letters're Zakk Saam.